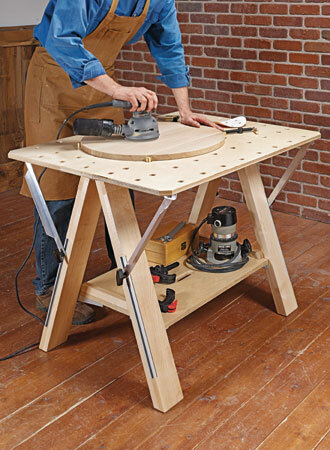 Give the “carousel” on top a spin or rotate the turntable underneath to provide easy access to your power tools. 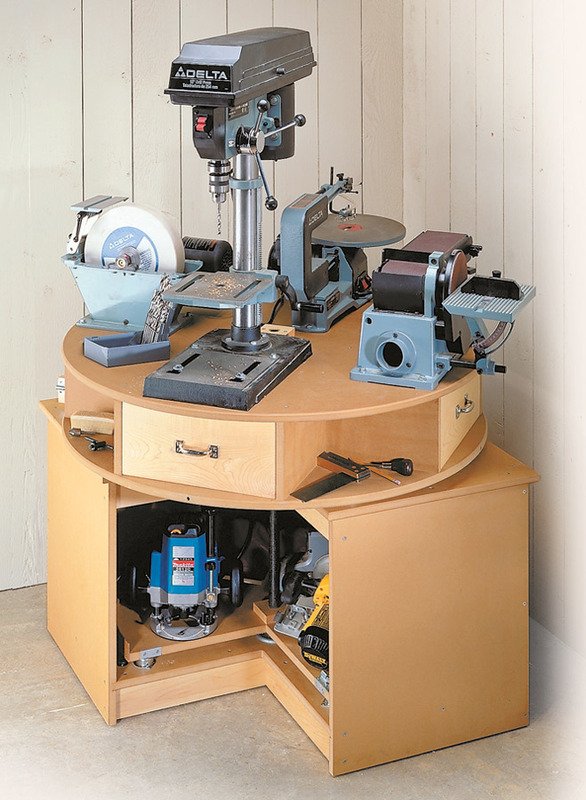 I've never met a woodworker yet who had too much space in their shop. 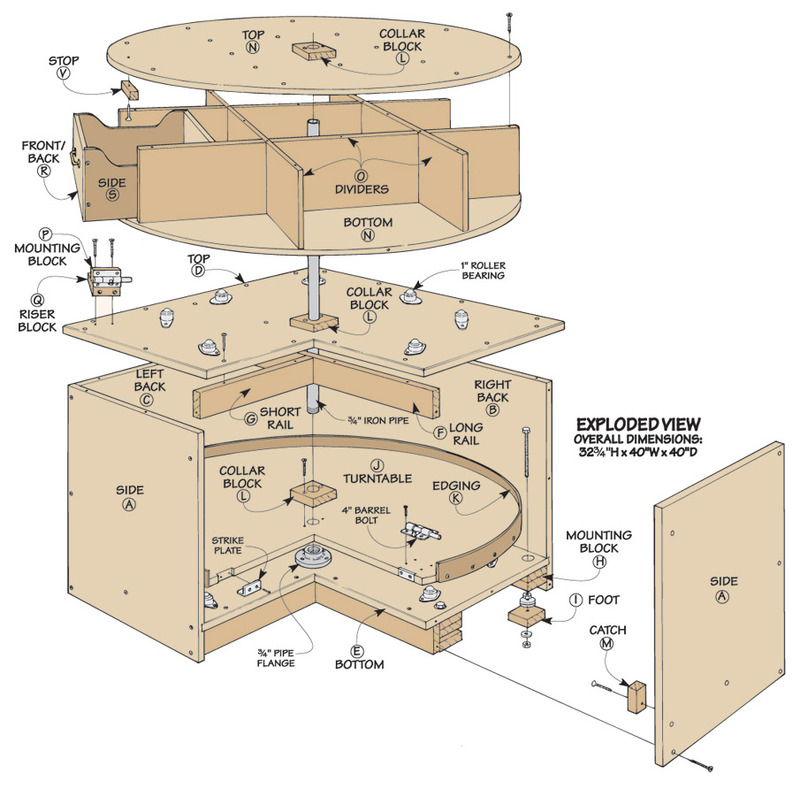 Maybe that explains why we’re always looking for ways to use the space that is available as efficiently as possible. 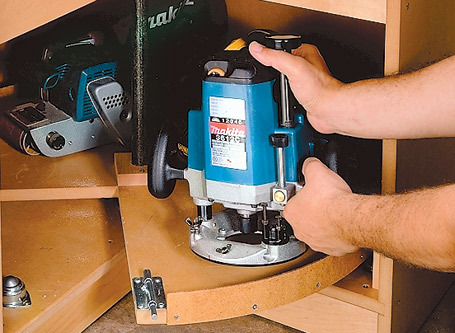 We give it a whirl with this tool station that only takes up nine square feet and can be tucked in to the corner of your workshop. 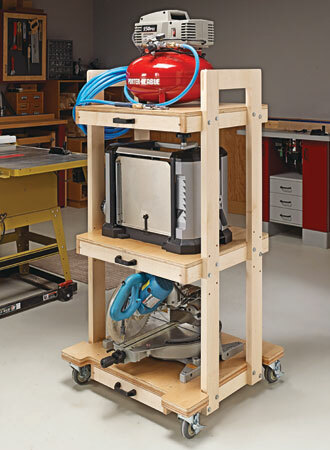 In this footprint, you can fit several benchtop tools and lots of storage for accessories. 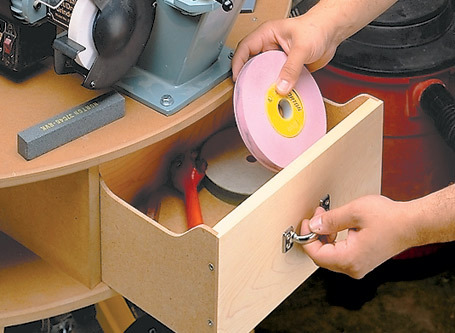 Get the job done, wherever you are, with this handy, go-anywhere worksite essential. 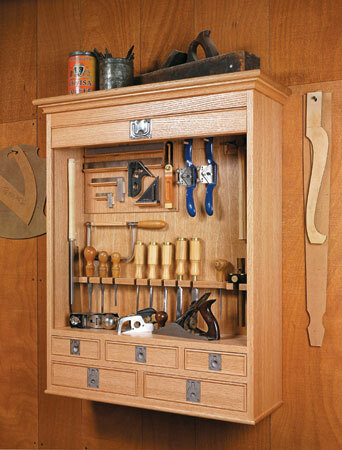 The combination of a traditional look, abundant storage, and unique function makes this cabinet the perfect home for your trusted tools.